Pasta without the carb overload and without the guilt? Why thank-you Dr Zak’s! 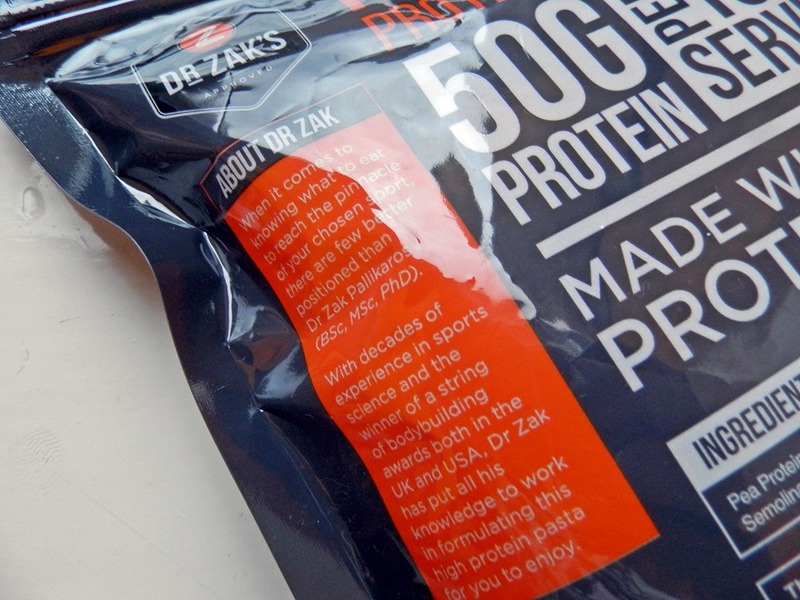 Now this is not the first time that a Dr Zak’s product has been mentioned on my blog; you may remember my review on Dr Zak’s High Protein Bread way back in May. 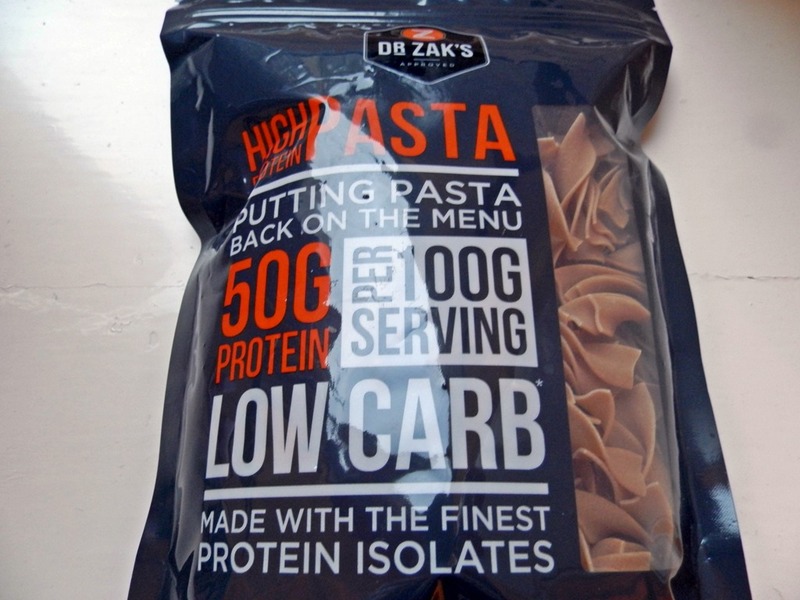 Today I am reviewing their latest development; Dr Zak’s High Protein Pasta*. Yes you heard right… pasta packed full of protein. Now we all hear tales of how carbs are bad for you and how you shouldn’t eat them if you want to loose weight, but for me a healthy diet is a balanced one. As long as carbs are only a small percentage of your plate, not all of it, then go ahead. Personally I try not to eat too many carbs as I do bloat, so restrict my card to only one meal a day when I’m being good. But when I heard about high protein pasta I knew I had to try it as a massive bowl of pasta is one of my favourite comfort meals, so to be able to indulge in my treat and know it’s not as bad for me as usual was definitely a plus! Dr Zak’s High Protein Pasta is packed full of protein with 50 grams of protein per 100 gram serving of pasta… plus there’s reduced carbs! It definitely lives up to the name, as regular pasta only contains around 12.3g of protein per 100g! They have developed the pasta to give you all the energy and nutrients you need but without the massive carb overload you normally get. The pasta contains no artificial colours, preservative, additive, flavouring and no soya protein. So it is definitely one of the greenest protein pasta on the market. So what are my thoughts? The pasta is very similar to regular pasta, it doesn’t taste any different and the texture is pretty much the same. It doesn’t expand as much as regular pasta during boiling but with the added protein in the pasta you portion size will be smaller, as we all know protein keeps us feeling fuller for longer! It is a perfect product for those trying to build or maintain muscle mass, or for those trying to lose weight however all this goodness does come at a price of £4.70 per 400g packet of pasta. The pasta is available to buy online on Dr Zaks website. As with their High Protein Bread I think the product is an excellent idea and great for those who take their nutrition seriously. For those interested in trying the pasta themselves. Dr Zak’s are running a competition to win free High Protein Pasta for a year. Simply create a recipe that includes a portion of their high protein pasta or high protein bread and share it with them on social media. I know I’m going to get involved! Go checkout Marie-Louise’s blog – ML Hauken, a blog full of beauty, fashion and lifestyle. Great blog post, high protein diets are perfect to stay in shape!